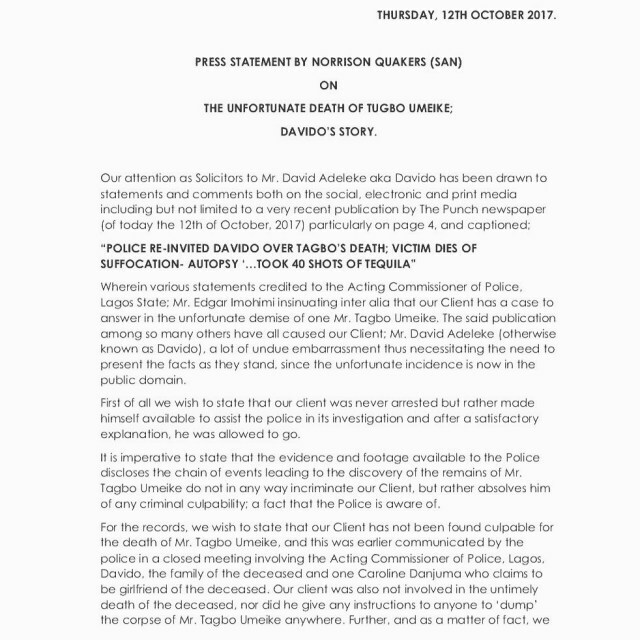 Few days ago, Davido reacted to reports to the reports trailing him, over the controversies surrounding Tagbo’s death, and he promised to release a statement soon, with evidences. 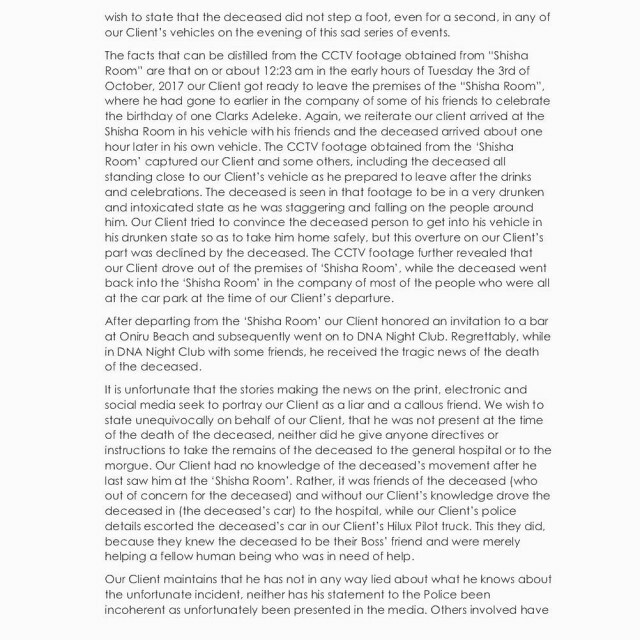 It looks like the singer, wasn’t joking one bit, as he has finally released a press statement including CCTV evidences. 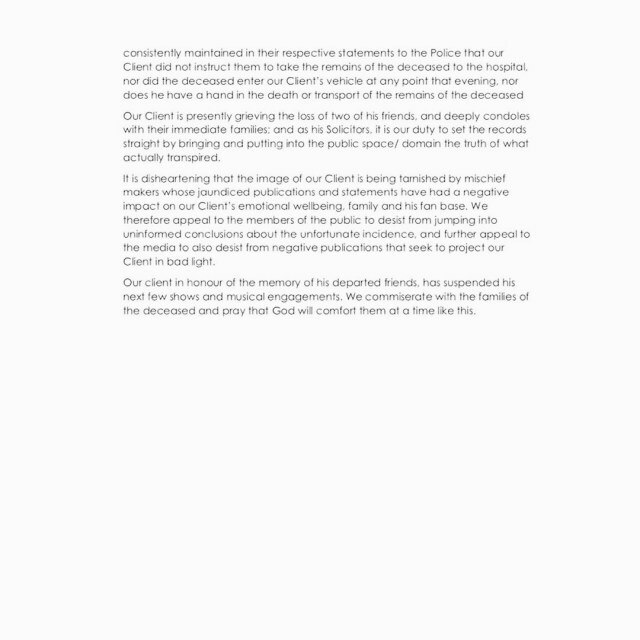 The singer in his statement debunked claims that he told his driver and friends to “dump” Tagbo’s body and also stated that Tagbo did not step a foot into Davido’s car at any time.